It can be hard to hammer down what actually IS mental health or mental illness, and how treatments work. Paradoxically, this sometimes feels even more confusing in the middle of graduate school as information from many different theoretical orientations flows out with the volume and velocity of a broken fire hydrant. 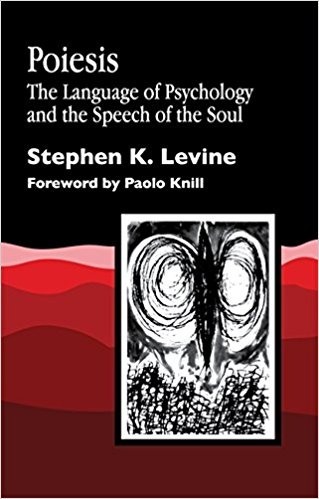 Yesterday as we had a lively classroom discussion in a course taught by an analyst who just published a book on Relational Psychoanalysis, I started to feel bogged down. As I frequently do when I’m struggling to understand how two things exist in relationship to each other, I turned a page in my notebook and began doodling. First, I doodled a baseline: what mental health looks like and what mental illness looks like- visually. The best and most universal definition I’ve found is that mental health is freedom, flexibility, and creativity/imagination- and mental illness is the void of those things. Read on to the bottom of this post for way more info on this. 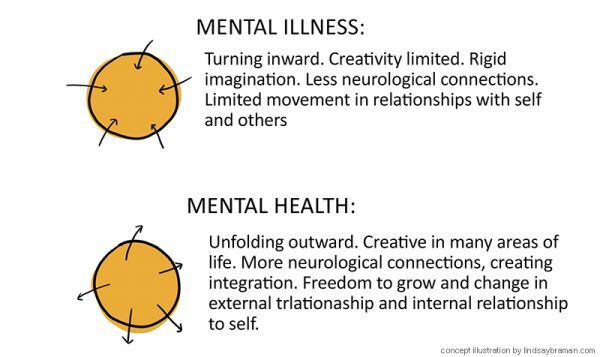 Personally, my understanding is developing around understanding mental health as outward movement and mental illness as an inwardly turned rigidity. These visual models make it easier for me to visual conceptualize how some methods of therapy work. 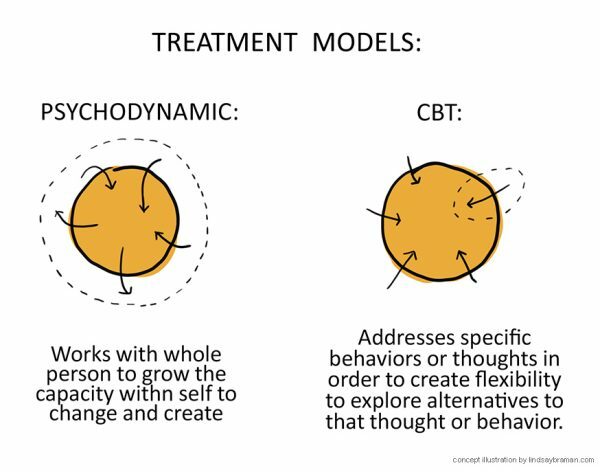 Here’s the comparison between CBT and Psychodynamic models. Essentially, all treatment models seek to help a person become more flexible and more creative. Healthy minds can experiment with different behaviors or ways of being, trying out new relationship patterns, free to adapt and change in ways that bring them closer to other individuals and awareness of self. 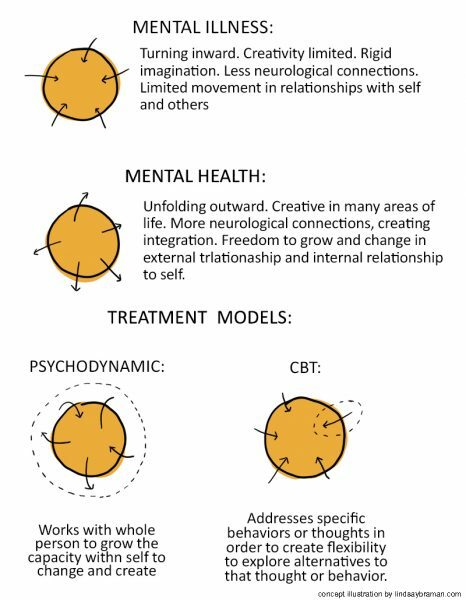 After I doodled a visual for what mental health and mental illness looked like, I was able to create a visual comparing how the treatment models being discussed in class that day, CBT and Relational Psychodynamic Therapy work. Works with the whole person to grow the capacity within self to change and create. Gradually, this theory hopes to turn inward facing arrows outward as a person’s capacity to experiment and create grows. Work to address specific behaviors or thoughts in order to create flexibility to explore alternatives to that thought or behavior. This theory hopes to turn inward facing arrows outward one at a time, as specific thoughts or behaviors are targeted and worked with. Of course, therapy is complex, every therapist practices uniquely and, often, integratively. It was interesting to discover that after I posted this image on my instagram the comments section quickly became a snowglobe representing the same heated discussion that had been present in the classroom when I created this doodle. Part of graduate training in counseling psychology is being exposed to many different ways of thinking about mental health and psychology. Along the way, it seems, it’s typical for students to locate the framework that feels like it fits and to experience a sort of gravitational pull towards a particular therapeutic orientation. The therapeutic process is only possible in Winnicott’s view if the therapist can foster the patient’s creative life. 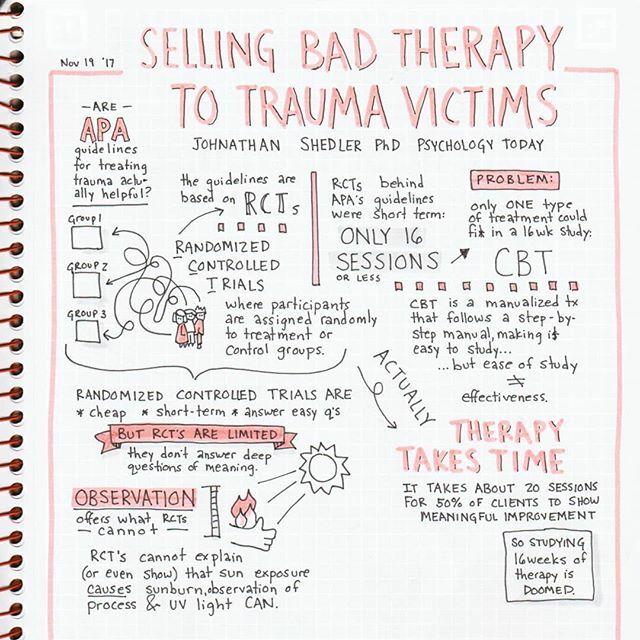 Are APA guidelines for how we treat trauma based on good data? Last week’s reading for my relational therapy course included several articles by Johnathan Shedler, Ph.D. reviewing how we evaluate “success” in therapy and left me with a lot to chew on.